What is Twitter marketing? It’s what you want it to be. Want to learn more about your customers? Make your brand a little more human? Build buzz about your new product? Make an influencer’s day? Provide lightning-fast customer support? Start mopping up after a PR disaster? Publicly humiliate trolls? Twitter’s got you covered. Whatever your goals, there’s no question Twitter can be a powerful tool to help you achieve them. If you’re just starting out with Twitter, this guide will show you how to craft a winning strategy. If you’re already using the platform to grow your business, jump to our section on smart Twitter tips for business. 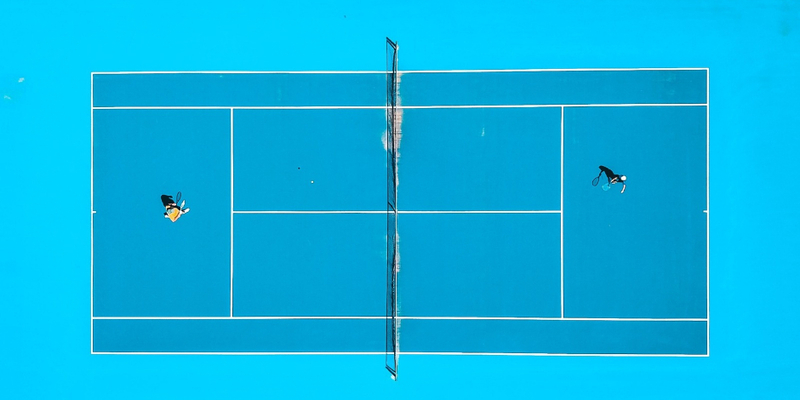 A well-crafted strategy is the foundation for success—and it’s what separates the most effective brands on Twitter from the also-rans. Without a clear plan, you will waste time and money tweeting without a clear understanding of how your activities are helping your organization meet its goals. And when it comes time to review your performance, you’ll struggle to prove what you’ve achieved. And that will make it hard to make the case for increasing your team size or budget. Defining and measuring success on social media can be challenging, so taking the time to do this right will really set you apart. Our guide to the ROI of social media breaks down the process for you. Teams working in large (or growing) organizations can find themselves working in silos. If you find this happening to your social marketing team, make sure you keep tearing down those silos and stay connected to other teams. Their work can be a rich source of information and assets to share with your followers. And they may be gathering insights that can open up new opportunities for your Twitter strategy. Twitter lets you use a few less characters in your bio than in your tweets (160, compared to 280), but you’ll still want to get maximum impact from every word (and hashtag). Whether you’re writing writing a new bio from scratch or looking to freshen up an existing one, we’ve got a list of world-class Twitter bio ideas to increase your follower count. While it’s true that you’ve only got 280 characters to worry about at a time, you should still strive to write tweets that are on brand, easy to read, and likely to resonate with your audience. If you’re looking for help or inspiration, check out our great list of 8 writing resources for non-writers. We're responding to storms & tornadoes that blew across the Midwest. For shelter info, visit https://t.co/IwTsENcx2z or call 1-800-768-8048. Yes, the limit is 280 characters—but you don’t have to use all those characters every time to create a great tweet. Mix up the length of tweets, and remember to use a URL shortener (like Ow.ly, available in the Hootsuite dashboard) to prevent links from taking up more space than necessary (and make it easier to include UTM parameters without creating clutter). We're at #CES2016 & letting you choose what we cover. Vote now and watch our Periscope tomorrow! 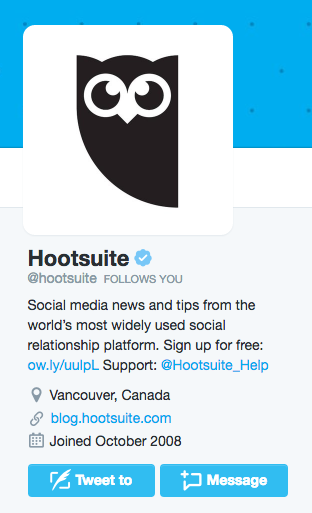 Use Hootsuite to execute your Twitter marketing plan alongside all your other social media activity. From a single dashboard you can monitor conversations, grow your followers, schedule tweets, and much more. Try it free today.